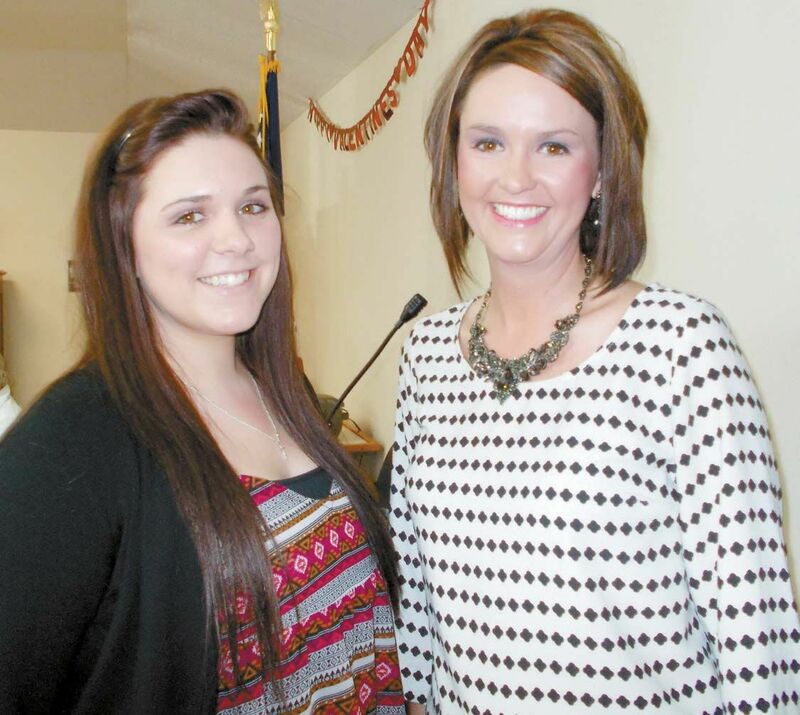 By Pat VerSteeg — This past week Jade Rozell was honored at Kiwanis/ Senior Citizens as the January Student of the Month. Principal Whitney Moore introduced Jade as coming to Cheyenne from Sentinel by way of the Oklahoma School of Science and Math, and she is an outstanding representative for Cheyenne High School, and a role model for the younger students. Jade took the podium and expressed her thanks for the honor of the luncheon, and spoke a little about herself. She spent one year at the Oklahoma School of Science and Math (OSSM), and her homeschool was Sentinel where she attended from pre-k through her sophomore year.